Kids Coloring Competition for your 4-8 years old kid. and get special prizes from us! Save the date : 29th October 2016. 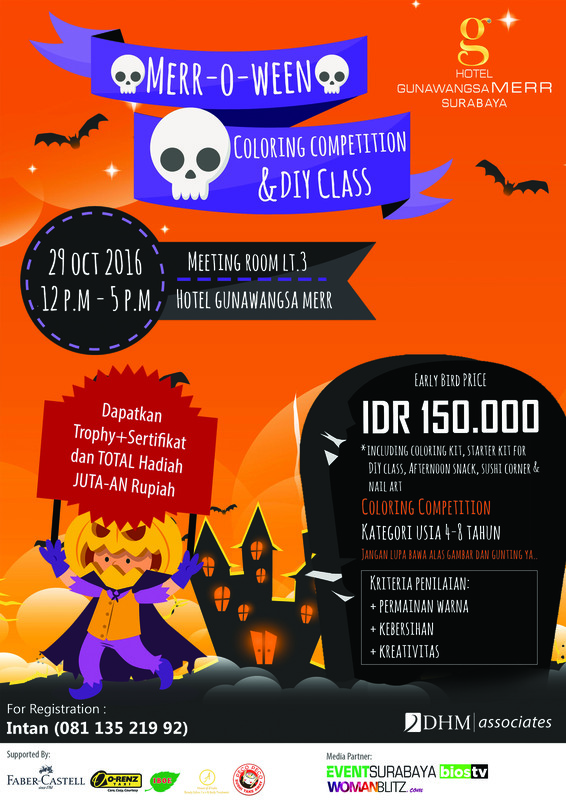 Join now for amazing Halloween experience at Merr-O-Ween event!